18. 11. 2015 | Mary Bosworth studies the highly controversial subject of immigration detention centres in the UK and abroad from all angles, and talks to detainees and employees alike. She wants to find out how factors such as race and gender affect confinement and penal power. AcademiaNet: Your research over the past 10 years or so has involved documenting immigration detention centres in the UK, where migrants, refugees and asylum seekers are held by the state. How might someone end up in an immigration detention centre, are they for people trying to enter the UK illegally? Prof. Mary Bosworth: Immigration detention centres are used for people who are caught at the border, but not very often. People can be detained subject to their removal if they have been residing in the community while their asylum claim is being processed but the government subsequently rejects the claim. There are also plenty of people in detention who have been working without authorisation in the UK. People can be caught in workplace raids, but also just if the police do a check on their documents. Then there's a final group that is made up of people who are ex-offenders. People who have been convicted of a crime and served their prison sentence may face mandatory deportation on their release. Those with a deportation order can be put into detention until they can be removed. Are these people technically criminals in the eyes of the state? What proportion of people in these centres have done something illegal – an immigration-related crime such as overstaying their visa - and what proportion are there pending administration such as with asylum claims? It is complicated. Immigration detention centres are not holding anybody who has a current criminal sentence – they are purely administrative sites. That is important because it means that the decision to detain is not a decision that is necessarily made by a court, it is a decision made by a civil servant. It doesn't have to be scrutinised unless the person being detained applies for bail, in which case it goes before an immigration judge. So nobody who is currently detained is a criminal in that respect. Having said that, over the past 10 to 15 years, many aspects of immigration law have become criminalised. So for instance, working with false documents is both a criminal offence and an administrative offence. If UK Border Force does a workplace raid and finds somebody working in Britain without documents, they can choose to prosecute them and put them through the criminal justice system, or they can choose to detain them under their administrative powers and remove them. 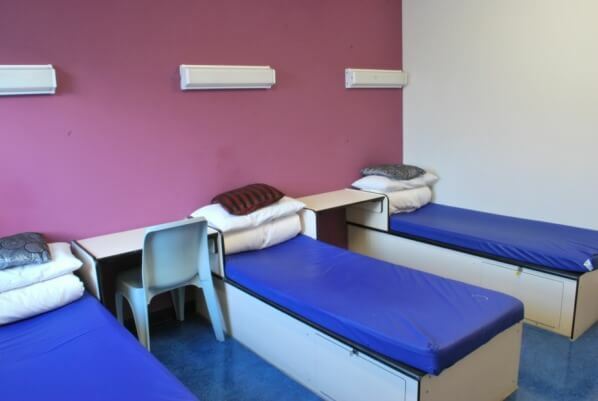 Women's shortstay unit | at Colnbrook Immigration Removal Centre, adjacent to Harmondsworth IRC and London Heathrow Airport, housing males and females. 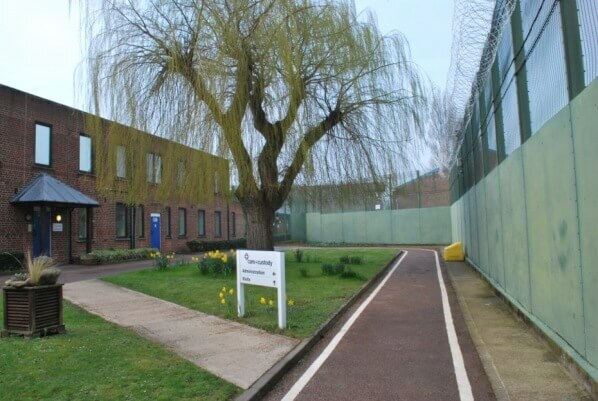 Colnbrook is the highest security immigration removal centre in the UK and has 308 bed spaces. 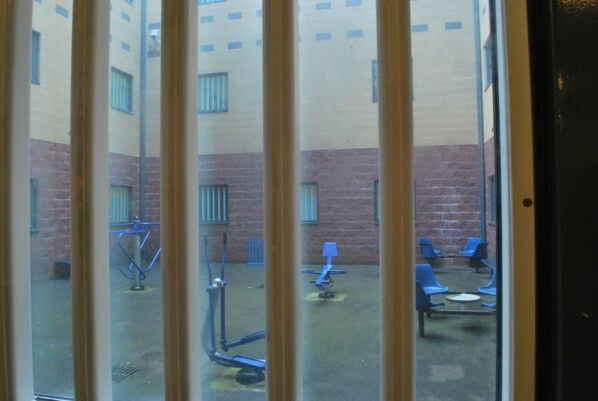 You're working on a big ERC-funded project that looks at how citizenship, race, and gender shape people's experiences of immigration detention centres. The important part of this project is that looking at detention from the perspective of individuals. Why is it important to take a subjective view rather than a more removed objective analysis? I think it's important to go in and talk to the detainees and also to the officers and the staff members, for a few reasons. One is that we simply don't have much evidence about these people's experiences. This project is the only one of its kind that has been allowed in the UK. Given the secrecy and the hidden nature of custodial institutions, I think there's an important intellectual and ethical job to reveal these places and their inner workings so we are maintaining some level of scrutiny over what’s happening in our name. Methodologically, the reason to gather people's testimonies and to observe and to do ethnography is that through these micro interactions, you can build an understanding of the macro forces. And you can humanise it along the way, which I think is important because recognising one another as humans raises ethical questions about what these places are like and what they are for. You've also done a lot of international comparative work on prisons and detention, and have just set up a new group on External Border Control with academics in Australia and Norway. What have you found so far about the similarities and differences between these two countries and the UK, in terms of border control and detention? What I've found mainly is that the nature of immigration detention reflects both the current political moment but also longer standing cultural ideas about belonging. For instance Australia pursues an absolutely appalling strategy of offshore confinement for refugees. This approach, which I think otherwise ought to be quite foreign to Australian practice, is enabled by a longstanding and very familiar racialised discourse about the potential 'swamping' effect of people coming down and invading Australia, which is a trope that has existed throughout Australian history ever since white settlement. Equally I think in Britain you can make quite strong and persuasive connections between current practice and longer held cultural views on migration. Outdoor gym at | Colnbrook Detention Centre. The inmates often suffer from depression and other mental health problems, due to prior traumatic experiences or their current situation. And all suffer from boredom. Your area of research is quite controversial in the UK, with immigration detention centres such as Yarl's Wood getting a lot of negative press and immigration in general a very polarising topic. Do you ever get involved in the politics of your research area? It is very difficult working in such a politicised environment. But I try very hard to talk to everybody on both sides of the debate. I talk to the people at the custodial companies and people in the civil service, as well as visitor groups and detainees. I think subjecting these centres and processes to close scrutiny is inherently political, but the goal of academic research ought to be understanding. Academic research is not the same as the work of the activist organisations and not the same as the work of policymakers. Hopefully what academic research can do is to feed into the workings of all these groups. Also, there's an important space in the public debate for academics to be writing and talking more about evidence and about research and about testimonies. At the moment the debate is almost wholly owned by the media, and that's not very productive and is generating a lot of very problematic forms of politics. The goal is to create a counter discourse about migration control that is based on extensive academic research and not just knee jerk politics. Dear Prof. Bosworth, thank you very much for this interesting interview. The fence from the inside of | Campsfield House detention centre. Campsfield House is a privately run Immigration detention centre near Oxford, England. It has been in the press because of several hunger strikes and one suicide.